One of the side effects from an intense workout regimen is invariably sore muscles, and sometimes injuries. Anyone who runs, rides bikes, skis, or takes part in some form of regular physical activity has probably experienced this at some point. Mixing in recovery days to the schedule can help alleviate these conditions, but more often than not, athletes simply learn to live with the pain. 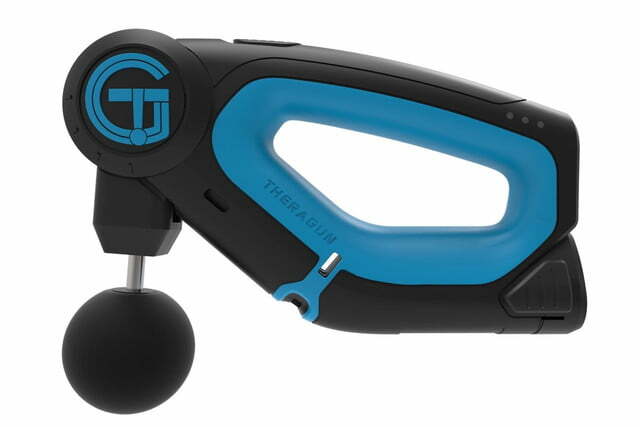 However, a device called the TheraGun G2Pro has found a high-tech way to offer deep muscle treatment that provides relief without severe discomfort or further damaging tissue. 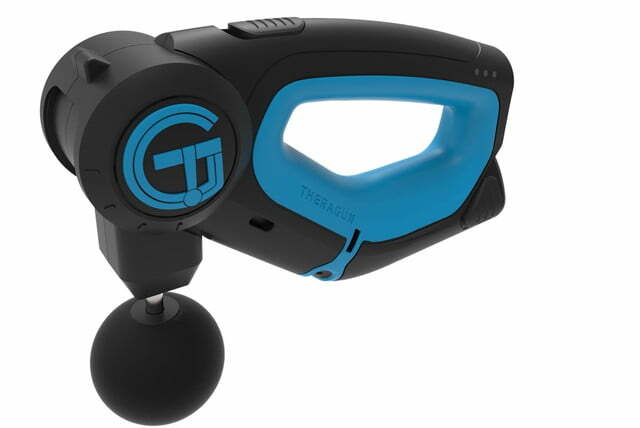 The brainchild of Dr. Jason Wersland, the TheraGun somewhat resembles a power tool that you would more likely find in your garage rather than the gym. Its powerful electric motor connects to a variety of attachments (dubbed “AmpBits”) that are shaped like various sized balls or a cone. When the device is powered on, it creates a percussive vibrating action that when applied to sore muscles can provide therapeutic relief. Similar devices used by physical therapists can cause intense discomfort or even pain when used on muscles and joints, which limits their effectiveness based on the patient’s level of pain tolerance. But Wersland says that the TheraGun employs a unique combination of frequency and amplitude that dampens the brain’s ability to feel pain, making it easier to use the TheraGun for extended periods of time. The result is akin to receiving a deep-tissue massage without having to visit the masseuse. Wersland tells Digital Trends that he came up with the idea for the TheraGun after he was involved in a car accident that injured his shoulder and left him in a great deal of pain which didn’t subside over time. Already a physical therapist himself, he soon discovered that he didn’t want to use any of his existing tools because they offered little relief and often only ended up making things worse. He found some relief through vibration therapy, however, so he decided to create his own tool instead. Over time, that first-generation TheraGun managed to rehab Wersland’s injury. After feeling better, he simply tossed it in a drawer and didn’t think much more about it. Later, however, he had a patient that was suffering from similar pain, so he dusted off his gadget and gave it a go. When that patient was cured, he decided it might be worth making some medications to the original design for use in his practice. At first, the idea of selling the TheraGun never occurred to Wersland, who was simply looking for a better tool to help treat the athletes and other patients that he worked with. But over time, some of those men and women started asking if they could use the device as part of their warmup before they started exercising at the Los Angeles gym where he worked. At first, he thought they were crazy but later came to understand the benefits of using the device prior to working out, too. To get the maximum benefit from the TheraGun, Wersland recommends using it for 30 seconds on each extremity as part of the pre-workout stretching routine. He also says that it can be used mid-workout or even during a game to help stimulate blood flow to muscles. “Carson Palmer uses it at halftime to stay loose,” he told us, referring to the former starting quarterback for the Arizona Cardinals. Of course, the TheraGun is instrumental in post-exercise recovery efforts, too. 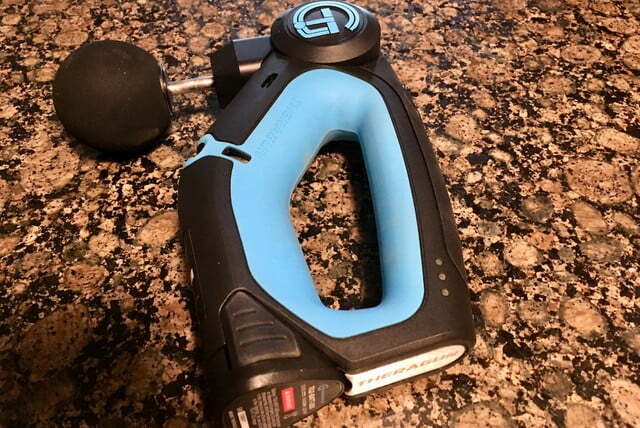 The tool’s ability to offer deep-muscle therapy allows for faster recovery prior to the next workout and can keep muscles from tightening after exercising. This can be crucial to preventing nagging injuries that can sometimes take weeks to heal and inhibit performance. Now in its seventh iteration, the TheraGun G2Pro has seen a number of important updates over the years. Wersland says the current model has greatly improved battery life and is lighter and more ergonomically shaped. He also tells us that it is quieter as well, although the device still feels substantial in hand and produces a throaty growl when activated. Palmer isn’t the only professional athlete that is a convert to the TheraGun; Wersland said that he has worked with a number of Seattle Seahawks, New Orleans Saints, and New England Patriots players too. Sharp-eyed viewers may have even spotted the device courtside at NBA games, and it is used by nearly every head trainer in Major League Soccer too. Still, Wersland says that you don’t have to be a pro athlete to receive the benefits of his invention. 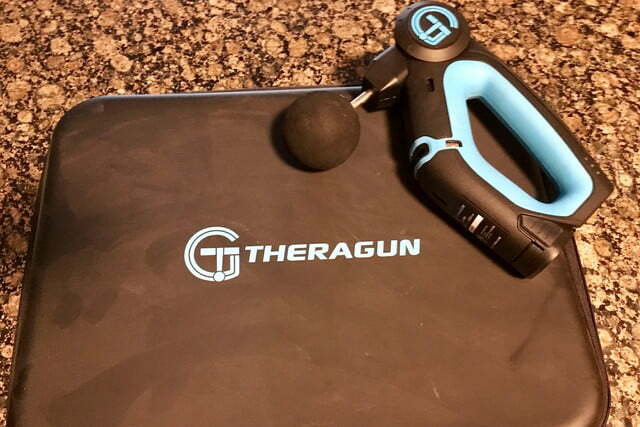 In addition to being used pre- and post-workout, the TheraGun can be used in relieving the pain that comes from non-sports injuries too, including arthritis, nerve damage, and atrophy. It can also help break up scar tissue from previous trauma and will reduce the build-up of lactic acid, which lowers the level of discomfort. You can buy a lot of Advil for the price of a TheraGun G2Pro however. The device sells for $599 and comes equipped with four AmpBits, two lithium-ion batteries, and a charger, all of which fits nicely into the included carrying case. Find out more at the official TheraGun website.